Photo Coverage: GODSPELL in Rehearsal - Sneak Peek! 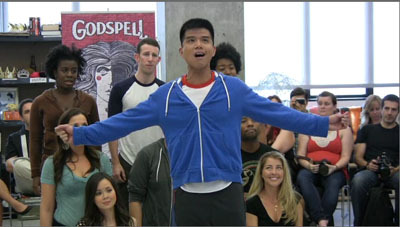 BWW TV: Prepare Ye - First Look at GODSPELL in Rehearsal! > 最大の買い物は東洋人のTELLY LEUNG と黒人女性のUZO ADUBA.